Nose: Fine and rich, with aromas of prunes, honey, and spices. Palate: Silky and luxurious, with concentrated flavors of old wood and candied fruits. Exceptional length of finish. 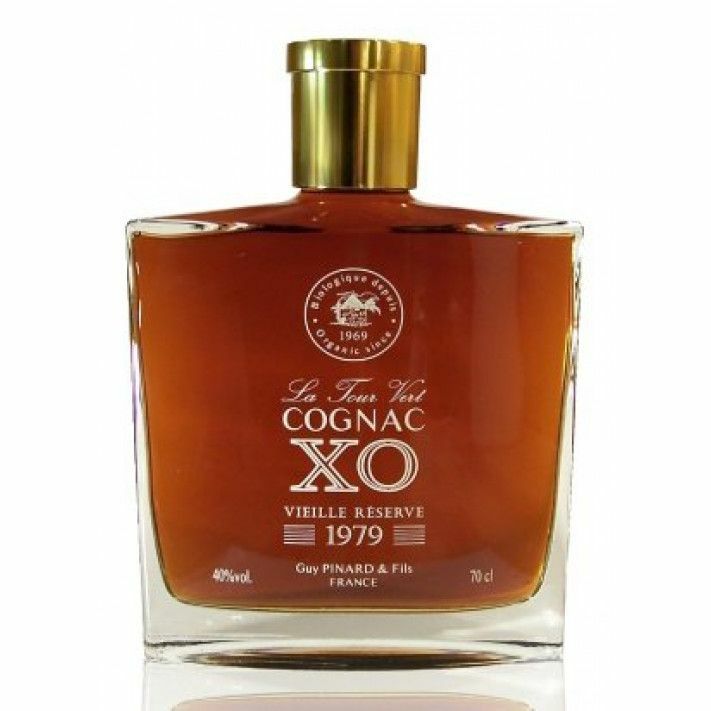 The Guy Pinard & Fils Carafe XO 1979 Cognac is, so Guy Pinard lead us to believe, the oldest biological Cognac produced under the specifications known as the Méthode Lemaire-Boucher. This means without chemical fertilizer, weedkillers, or synthetic pesticides. The European regulation for organic production was introduced in 1991, but this barrel of 1979 Cognac was kept by the house, who converted to organic production back in 1969. It truly is a unique Cognac. It's a truly fine Cognac - deep amber in color, with a complex yet rounded nose and palate. And of course, as one would expect of such an old Cognac, the finish brings with it new depths of length and a tasting experience. Guy Pinard recommend drinking this delight neat (of course), at a temperature of around 25 °C, and from a tulip glass for the highest quality taste experience. The Guy Pinard Familly is a pioneer of organic winery in France and is the first organic Cognac producer. Pinard's property is situated in the little village of Foussignac, in the heart of the “Fins Bois de Jarnac” a small sub-region which has been renowned for its elegant and floral Cognacs for hundreds of years. This specific “terroir”, together with the organic methods and the Pinard family know-how leads to authentic Cognacs. Tasting review by Pinard: The wooded nose has aromas marked liquorice, honey and spices. The color is typical of very old Cognac, deep amber. The silky mouth of the venerable Cognac this complexity, roundness, and delicacy. The long finish is exceptional.